Students who are directly admitted to Kelley from high school get a jump on the competition. Some students complete a year or two of classes before being admitted, but direct admits start in Kelley right away, receiving early access to prestigious scholarships and first access to on-campus housing with peers at the Kelley House. Note: The Kelley School will accept students' highest OLD SAT score or highest NEW SAT score but cannot combine a section from the old exam with a section from the new exam. If you don't qualify for direct admission, or if you're currently a student at IUPUI, you can apply to Kelley once you've met the requirements for Option 1 or Option 2 admission. For fall admission, apply to IUPUI by May 1. For spring admission, apply to IUPUI by November 1. Come visit our beautiful campus. 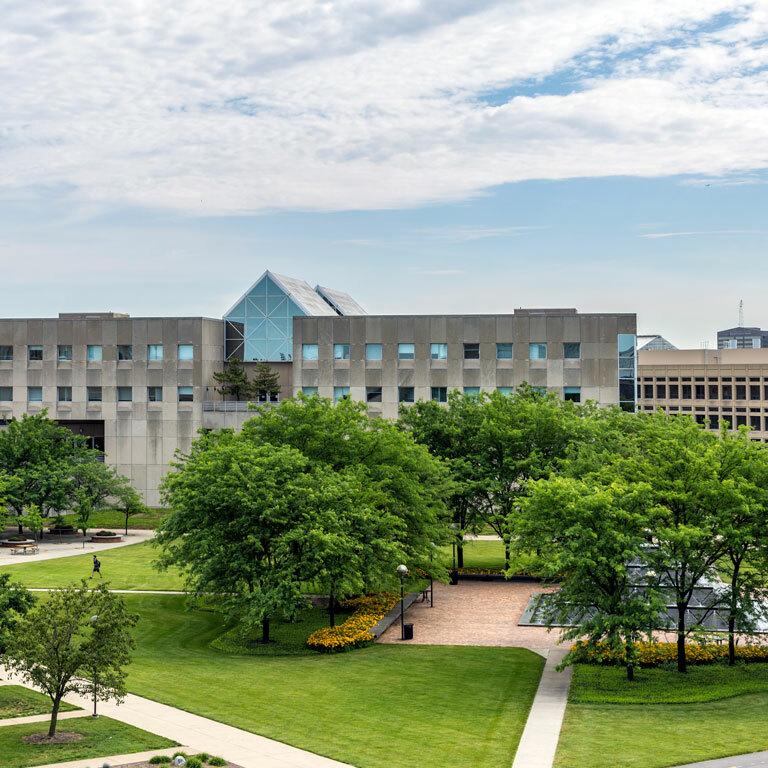 Nestled in the heart of downtown Indianapolis, IUPUI is a vibrant campus that offers limitless opportunities to its students. Year-round internships. Diversity. World-renowned faculty. It's truly a remarkable place. Schedule an appointment with a Kelley advisor.